An early flight called for proper sustenance upon landing in Austin last week. The South Congress Cafe had me covered with a brunch menu served well into the afternoon. 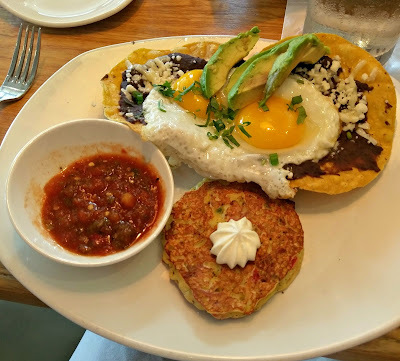 I enjoyed this delicious plate of huevos rancheros with fresh avocado and a yummy iced latte. 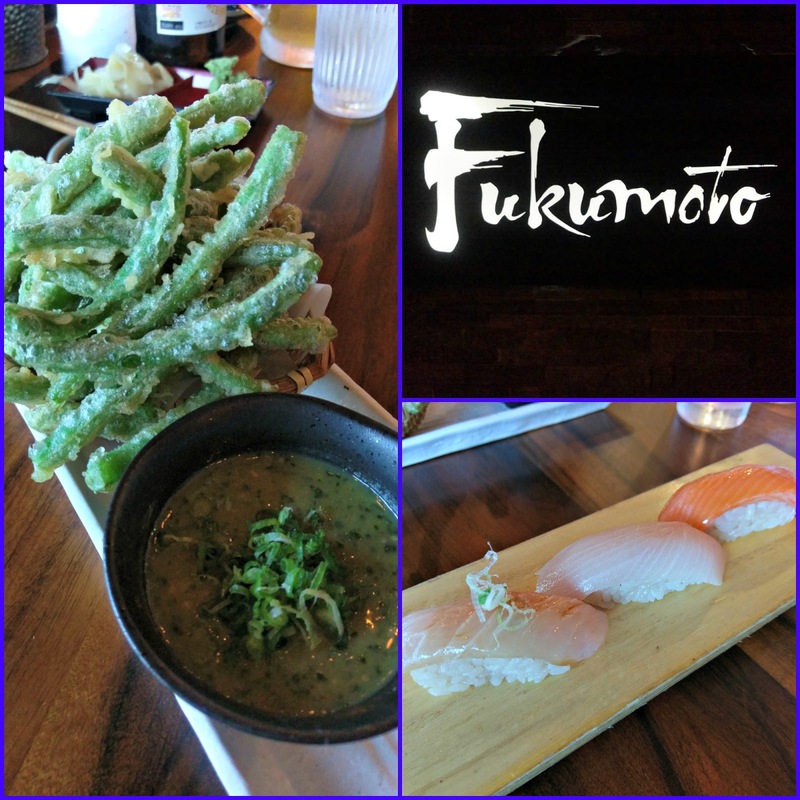 After a team-building yoga session at Practice Yoga Austin, dinner was served at Fukumoto Sushi & Yakitori Izakaya. 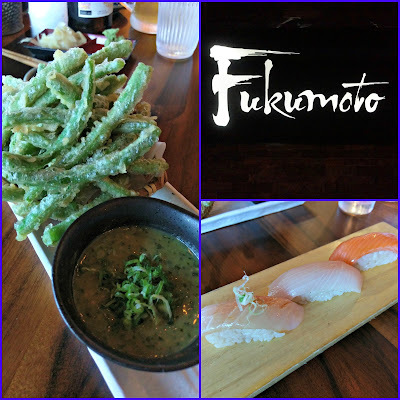 I had the most amazing meal of tempura green beans with a cilantro miso aioli and sushi (amberjack, yellowtail, king salmon). Lunch the next day was an unbelievably hot mile and a half round trip walk, but it was worth it. We left the comfort of the a/c for tortas at Austin Daily Press - thank goodness for the fresh squeezed Arnold Palmers! 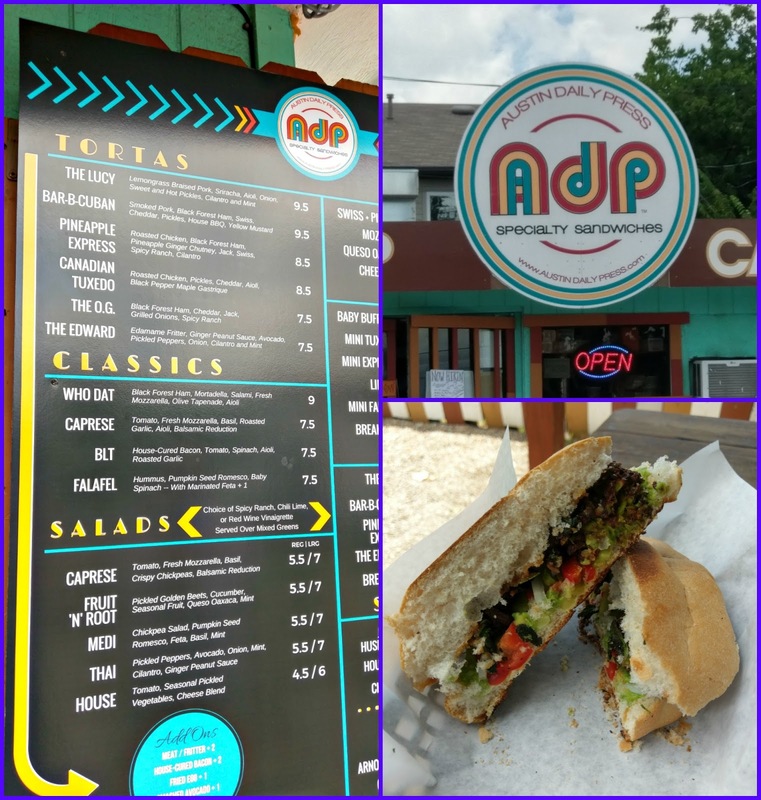 I had the Edward - edamame fritter, ginger peanut sauce, avocado, pickled peppers, cilantro and mint. 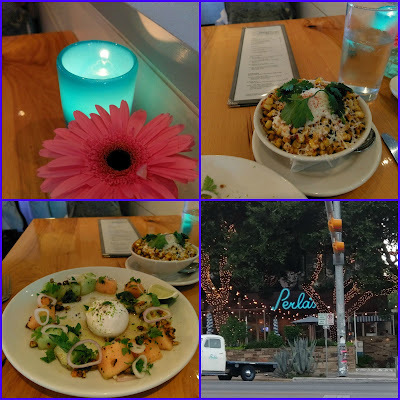 For dinner, I wandered down South Congress and found Perla's, an upscale seafood restaurant. Since the prices were slightly outside of my per diem, I opted for a fresh and spicy melon, pistachio and burrata salad and a side of oak grilled corn with serranos, cotija cheese and lime zest. I will definitely be back with a bigger budget and Brian in the future. 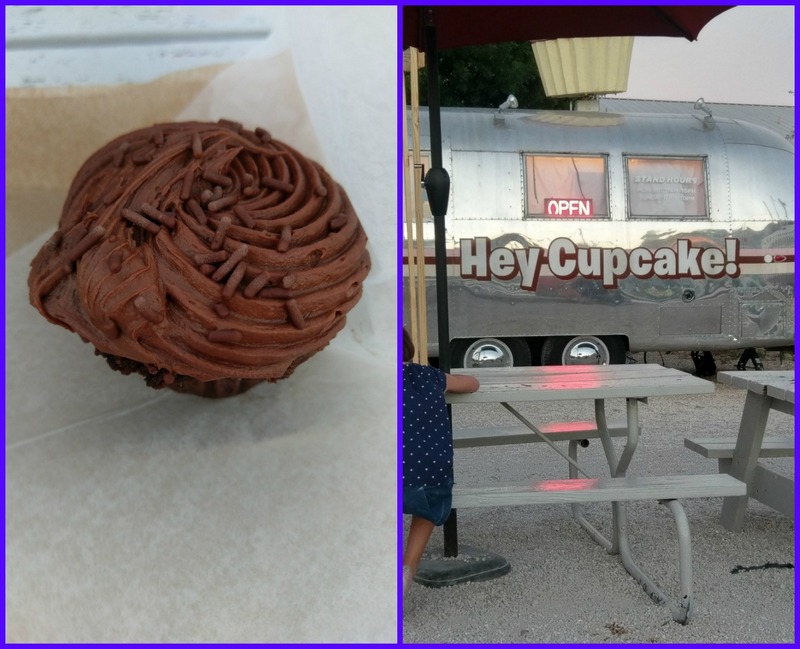 Say what you want about the cupcake craze going out of style, but no trip to Austin is complete for me without a stop at the Hey Cupcake! truck. And, of course, this trip was no exception. I enjoyed the double dose - chocolate cake with chocolate buttercream - one of the freshest cupcakes I've ever had, yum!